Leeds Building Society is to revamp its customer engagement tools through a ten-year deal with HP Enterprise Services, which will encompass a number of independent software vendors working on different parts of the business. The deal builds on the earlier deal between the two firms in 2013, which focused on the building society’s core banking platform. Under the 10-year agreement, HP Application Transformation Services will work with independent software vendors TIBCO, Numéro and Infor to provide Leeds Building Society with customer engagement capabilities hosted in an HP Helion managed virtual private cloud environment. This will help the society streamline its mortgage and savings processes, making it easier to grow market share and penetrate new market segments. The deal has several parts. Omni-channel customer experience management specialist Numéro will provide contact management capability for new customer communication channels. The idea is to ensure the building society can offer support across any communications channel, without the customer having to start the process again. Infor’s multi-channel, interactive campaign management solution, Infor Epiphany, will help the building society to offer customers personalised communications, allowing the society to strengthen individual customer relationships. HP Exstream will provide customer communication (such as statements, notices and renewals) through customers’ preferred channel. TIBCO ActiveMatrix BPM software will digitise its business processes, systems and applications. Leeds Building Society joined the shared services alliance founded by HP Enterprise Services and the Yorkshire Building Society in September 2013, in a deal that saw the society move its core application for mortgages and savings to the cloud. The deal also marked a growing recognition among the UK’s mid-tier institutions of the power of cloud to help them move with the times. HP’s original deal with the Yorkshire Building Society involved shifting the building society’s core mortgage and savings application to the cloud. That in turn enabled the Yorkshire to effectively offer its automated mortgage sales, lending and savings account processing product as a white labelled solution to other financial institutions (which it had been doing for years), through HP. 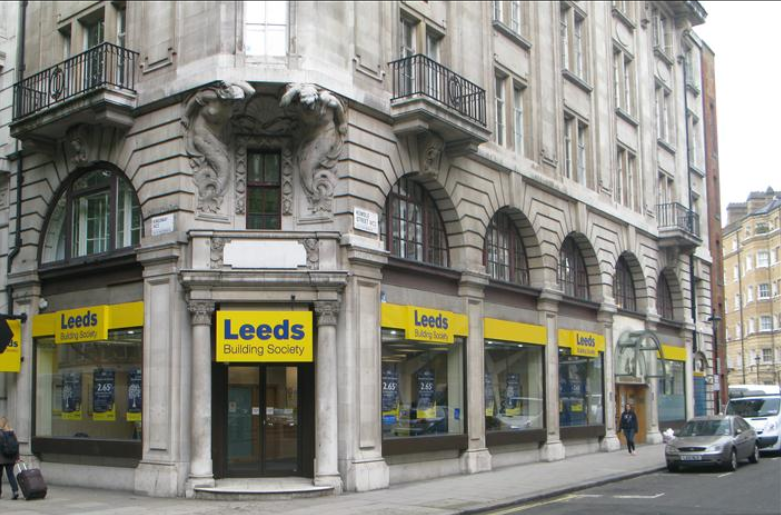 The Leeds Building Society is the fifth largest of its kind in the UK, with assets of £10 billion. Founded in 1875, the society has approximately 703,000 customers and 65 branches in the UK, with 29 in Yorkshire and a branch each in Dublin and Gibraltar. RBS has awarded a contract to Hewlett Packard Enterprise for the implementation of a new image-based cheque clearing service in response to UK regulatory changes that require all cheques to be processed digitally by 2017, under HM Treasury’s Future Clearing Model. PKO Bank Polski has added a mobile payment service that covers all payment situations using the Mobile Everywhere platform from Stockholm-based Accumulate. Leeds Building Society has joined the shared services alliance founded by HP Enterprise Services and the Yorkshire Building Society in September, in a deal that will see the society move its core application for mortgages and savings to the cloud. The deal also marks a growing recognition among the UK’s mid-tier institutions of the power of cloud to help them move with the times. Livi VB is a joint venture of Bank of China, JD New Orbit Technology and JSH Virtual Ventures Holdings.